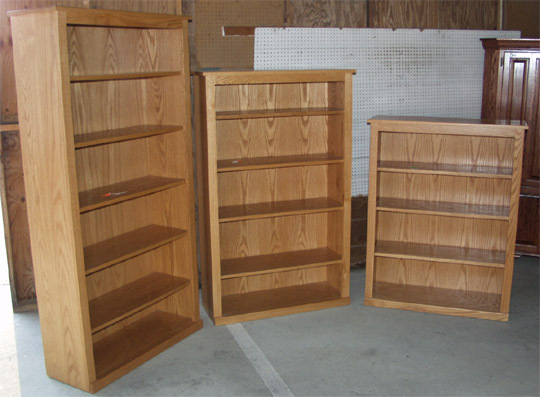 Clayborne’s has a wide variety of solid hardwood bookshelves available to meet your every need. Tell us your measurements and we’ll give you a price. The three you see here are of solid oak, these are 37” wide, 12” deep, and shown in 4, 5 and 6 foot heights. The shelves are also made of solid oak and they are adjustable. The backs are oak veneer. Generally the taller shelves have at least one fixed shelf.